Condition: Deluxe unit with balcony. 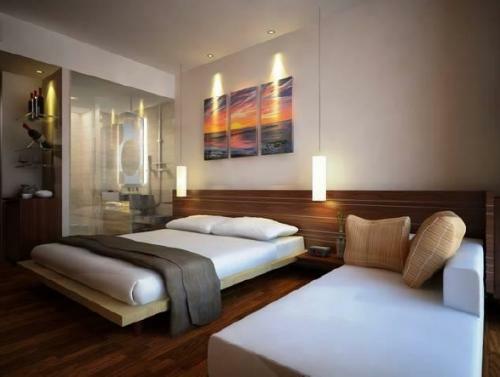 Fully furnished based on Mercure Hotel standard. 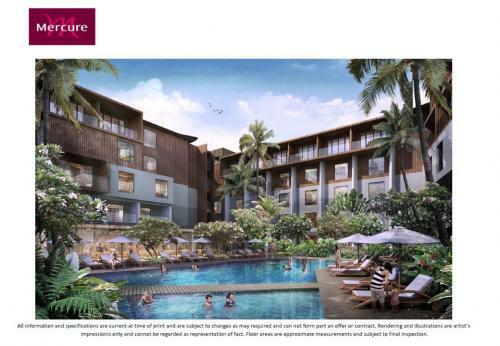 Facility: Fine Dining Restaurant, Bar & Lounge, Outdoor Swimming Pool, Spa & Wellness Centre, Business Center. Additional Info: Nestled on a very strategic location, which is on the intersection of Jalan Sriwijaya-Jalan Legian-Jalan Melasti. 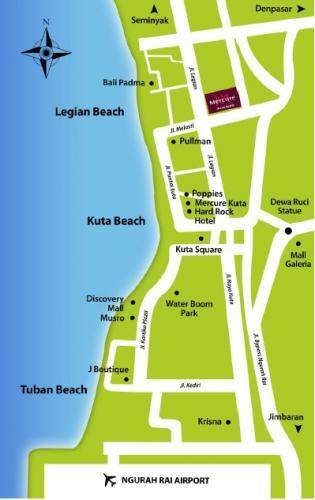 Only 10 minutes walk to Kuta beach & 30 minutes walk to Double Six beach. Built by a senior & reputable developer in Jakarta "Brasali Group". 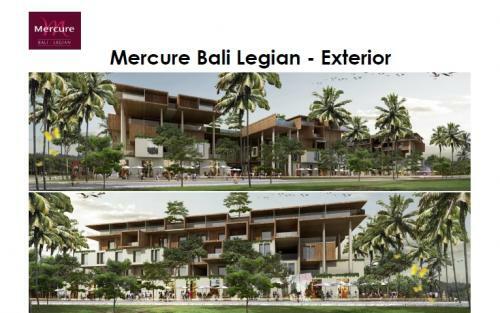 Will be managed by an international Accor Hotels management, under the brand "Mercure Bali Legian Condotel (4 stars)". 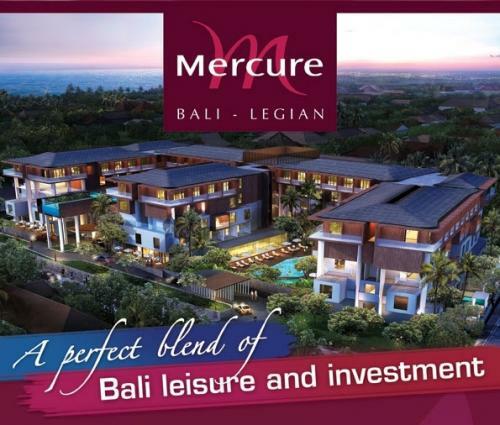 The total land size area is 8.500 sqm. 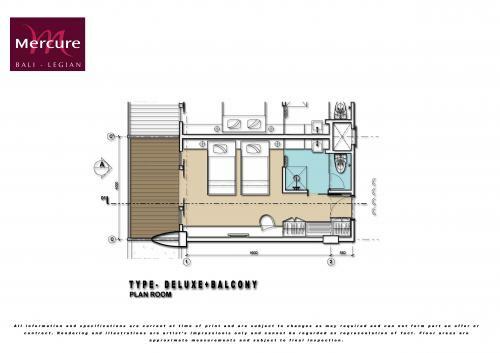 The standard unit size (deluxe type) is 29 m2 (semi-gross). 50 years leasehold ownership (open to foreign investor). Project break even point in less than 6 years. Fully furnished, free service charge. Free stay benefit up to 21 nights each year. Project under construction and estimated completion by December 2014.